Let me take you back to just after the 2009 competition: Finals are coming up, and then it’s winter break! Not only that, but the RFP is out for the 2011 competition and we are focusing our energy on producing a competitive entry. After the report is complete and submitted, we are notified that a 3D model and a display board describing our concept are also required. In the mean time, the house foundation is not yet completed, and the home sits in storage. The foundation is completed, and the house is moved to its home in the Solar Village on S&T’s campus during the summer of 2010. A few team members are hired to work with Physical Facilities to get the village up and running- a lot important projects are finished that summer. Over the next school year we focus on training new team members and working on a plan for the 2013 proposal. Many students perfect their practical skills by working on getting the automation system and photovoltaic panels up and running throughout the school year while staying on top of other team projects and submittals. However, all of the houses systems are still not running. We have been privledged to have 4 previous Solar Decathlon houses to learn from. With the 2009 house being office and research space for the team, we can work on anything needed without disturbing any residents. 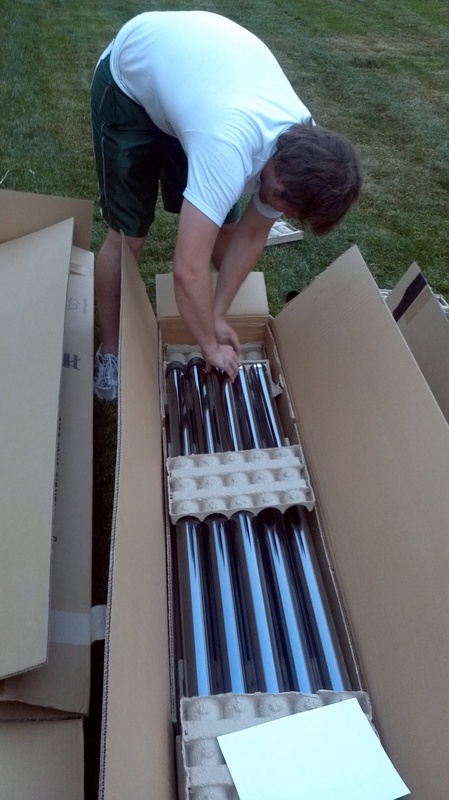 A few dedicated members worked on installing the Apricus evacuated tube system for hot water from the sun in June 2011. We are proud to say that the most of the ’09 systems are now up and running. 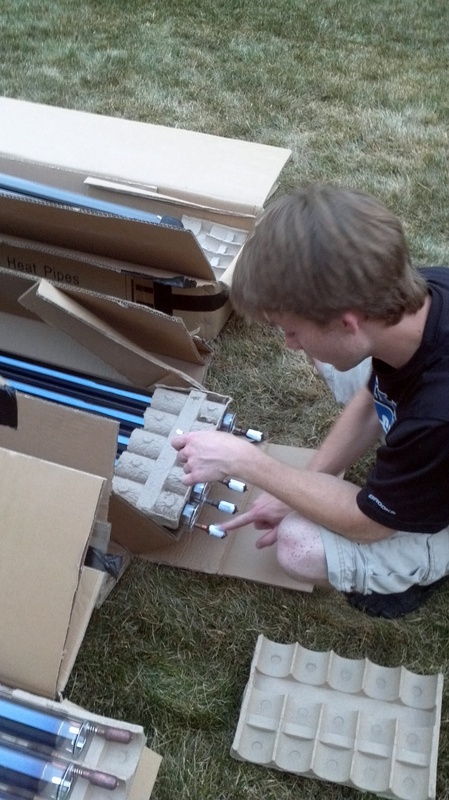 During the construction phase of competition installation of systems is often rushed and managed by a few experience members. Now we can teach new members about installation and operation- and take as much time as we need!